Allied Air cargo airplane crashed yesterday in Accra, Ghana when it overshot the runway and crashed into buses and cars on the ground killing at least 10 people. The crash happened at the Kotoka International Airport, which sits near newly built high-rise buildings, hotels and the country's defence ministry. 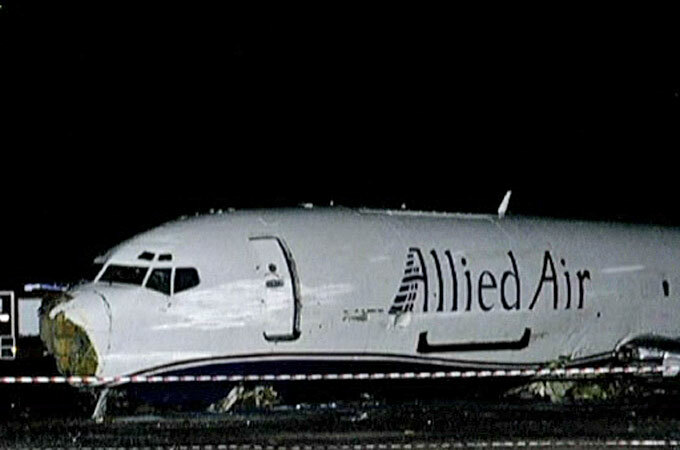 All the 28 people on board on the aircraft survived.